Plague statue. 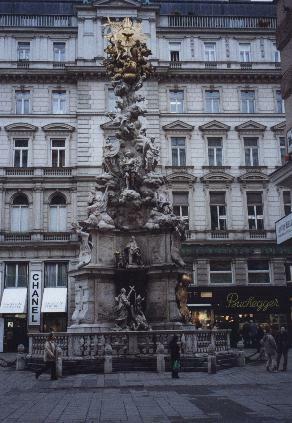 It was built to commemorate Vienna's deliverance from the plague of 1679. The original column was made of wood, but was replaced in 1693 by the one shown here. 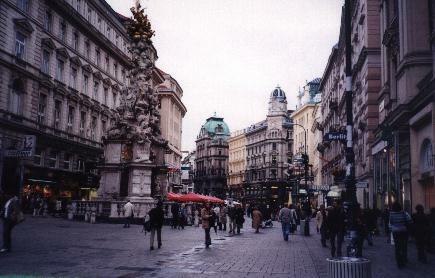 Area is called the "Graben" (ditch). Votivkirche, located at Roosevelt Square. 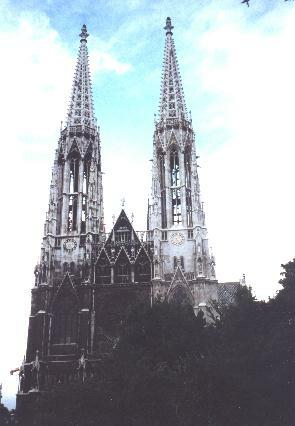 It was constructed 1856-1879 by Heinrich Freihere von Ferstel, in the style of French gothic.